On December 15, Curiosity drilled its 19th sample at a location on the ridge called Rock Hall. 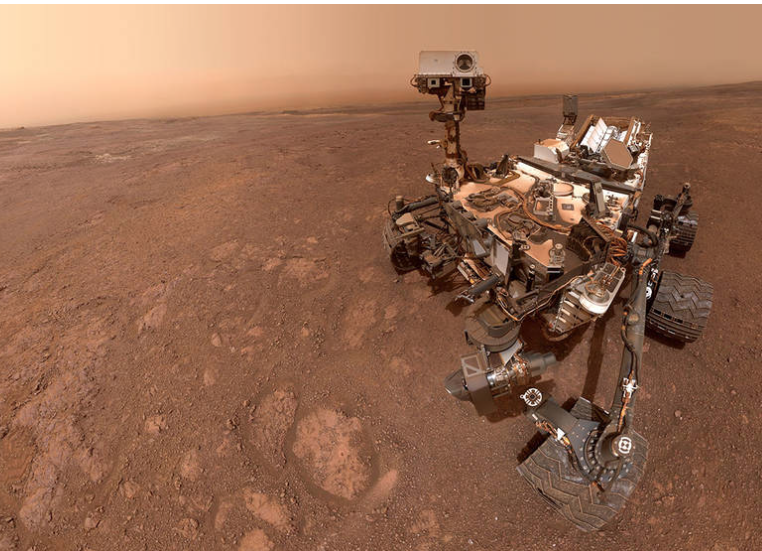 On January 15, the spacecraft used its Mars Hand Lens Imager (MAHLI) camera on the end of its robotic arm to take a series of 57 pictures, which were stitched together into this selfie. The "Rock Hall" drill hole is visible to the lower left of the rover; the scene is dustier than usual at this time of year due to a regional dust storm.